A crossing of busy byways in the Worcestershire countryside, frequented by walkers and horseriders. 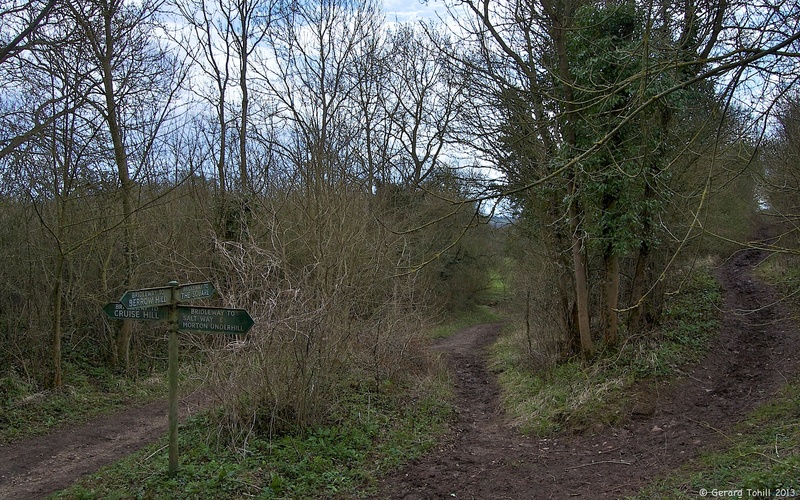 Some of these paths are many hundreds of years old – for example the path going left to Cruise Hill is an old medieval coffin route, where people brought their dead to the nearest church (in this case at Feckenham) for burial. Indeed, at the north end of this path, it is actually named Burial Lane. Thanks. The tracks you see there have been in use for many hundreds of years, at least since medieval times. I find the history of these routes very interesting.